Are you interested in a Phuket Scuba Diving Vacation? The waters around Phuket are ranked among the top 10 scuba diving destinations in the world. The warm, clear waters that surround Phuket are bursting with marine life, making it a perfect spot to enjoy a scuba diving vacation. There are many dive sites surrounding Phuket where you can view underwater rock formations and coloured coral reefs which are home to a variety of different species. If you are lucky you may even catch a glimpse of a manta ray or a whale shark. Phuket offers unbeatable access to all of the best scuba diving in Thailand, with its own diverse and interesting underwater world. 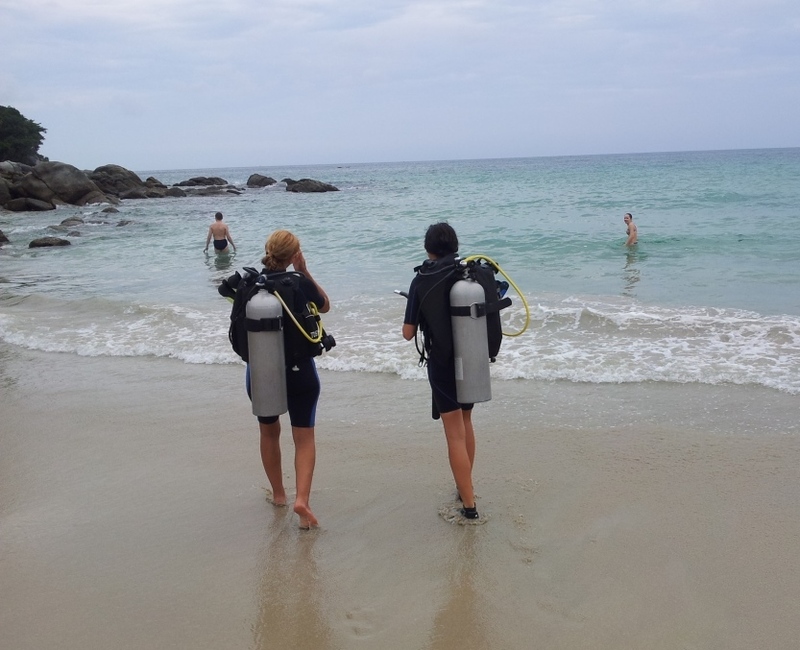 A scuba diving vacation in Phuket is very popular with young holiday makers and experienced divers. There is a fantastic range of exhilarating dive sites around Phuket that provide something for everyone, regardless of qualification levels or experience. Phuket Scuba Diving off the beaches is not all that great, as the water is shallow. However if you only want to go scuba diving of the beaches, the best spots are at the northern end of Kata Beach and the southern end of Karon beach. If you head further south other top spots for scuba diving are Ao Sane Beach or the rocky headland around Promthep Cape, which can be accessed by going to Yanui Beach. The best scuba diving sites around Phuket are found around the coral reefs on the offshore islands around Phuket. You can take day trips or spend a few days on a liveaboard to visit these amazing underwater sites. There is a variety of scuba diving day trips available; below is a list of the best dive site offshore from Phuket. Travel time to these dive sites is around 60 to 90 minutes from Phuket. Has some very good dive sites that are suitable for beginners with colourful corals and plenty of marine life. Here you can view beautiful hard and soft corals and a magnificent variety of tropical fish. In the deeper sandy areas you'll discover garden eels and blue spotted rays. Is an uninhabited tropical island located south of Racha Yai. The island has excellent dive sites for experienced divers as well as shallow bays for beginners and snorkelers where you can enjoy beautiful hard corals and see all manner of marine life from vibrant reef fish to beautiful eagle rays. Diving here replicates the scenery of the Similan Islands with large granite boulders covered in soft corals which are surrounded by an abundance of colourful reef fish, as well as large sting rays, manta rays and whale sharks. Shark Point is one of Phuket's best dive sites, here you'll find a marine sanctuary of three reefs covered densely in anemones, soft corals and sponges. Leopard sharks are often seen resting on the sand. Sea snakes, giant barracudas and trevally are also common, along with an impressive number of moray eels. Anemone Reef is a completely submerged reef located north of Shark point. It is covered in anemones and colourful soft corals. All kinds of tropical fish can be seen here as well as leopard sharks and schools of lion-fish. The King Cruiser was a passenger ferry that once transport passengers between Phuket and the Phi Phi Islands. On the 4th May 1997 the ferry strayed off course and hit the Anemone Reef and sunk, fortunately nobody died in the accident. The wreck remains an underwater attraction for scuba divers with lots of small fish such as lion fish, cuttlefish and crabs that have made their home in the wreck. Koh Phi Phi is a natural wonder, one of the most beautiful places to visit and one of the best places to dive in Thailand. The variety of dive sites in the Phi Phi area means there is something for everyone. 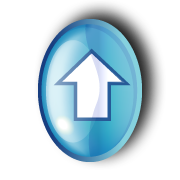 Some sites are suitable for beginners; others are for more advanced divers. There are shallow bays, deep drop offs and undersea pinnacles. Koh Bida Nok and Koh Bida Nai, at the Southern end of the Phi Phi Islands are among the best dive sites in the area. The Similan Islands offer the most beautiful and diverse dive destination in Thailand, and is one of the top ten dive destinations in the world. The Similan Islands are made up of nine remote Islands, which were declared National Park in 1982. Here you will see the amazing contrast of colourful coral reefs packed with marine life, huge underwater boulders forming exciting gullies and canyons, which are visited by whale sharks and manta rays. It is possible to do a day trip by speedboat but really, this is too much of a rush to fully appreciate these islands. A much better option is to do a liveaboard - a boat where you can sleep and spend a few nights and enjoy lots of scuba diving in Thailand. You can visit dive spots around Phuket all of the year, however the best time to go scuba diving off Phuket is from November to May. During the rainy season from June to October, Phuket scuba diving daytrips are ideal. You will tend to see more marine life due to the less amount of divers and boat traffic as there is through the high season. If you have never been scuba diving before, Phuket is the ideal place to learn, the water is warm and visibility is good. The best way to start is to book into an accredited scuba diving course in Phuket. PADI stands for Professional Association of Diving Instructors. With more than forty years experience, PADI has become the largest international diving certification agency in the world. Below is a list of dive shops and operators that are located throughout Phuket. They can organise day trips or liveaboard trips and offer a full range of diving packages, PADI Dive courses, scuba gear and most importantly they have lots of scuba diving experience around Phuket. Phuket Scuba Diving at Phuket Scuba Club offers all diving courses, daily dive tours and Live-aboard cruises around Burma and Thailand. Phuket Scuba Club has two locations the main office is located opposite The Boathouse Hotel in Koktanod Road, Kata Beach. And the other is located directly on the southern end of Karon beach, next to Ruam Thep Inn. You can stay up to date with the latest dive news in Phuket with the Phuket Scuba Club blog. Sunrise Divers also offer live-a boards to the Similan Islands, PADI courses, and a full range of day trips. Explore the Similan Islands on board Live-a boards and visit dive sites with Thailand Divers, a PADI 5 Star National Geographic Instructor Development Scuba Diving Centre, located in Phuket, Thailand.